Fernando Alonso doing Daytona again is terrific news - not just for the team and Alonso, but also for us as fans. Why? Well, because it’s part of his continued commitment to compete in and winning anything he can get his hands on. Also, one of his teammates, Jordan Taylor, is notoriously hilarious. As well as being a super fast driver, his social media antics are surely up there as some of the best in motorsport. Whether he’s inventing life stories of people he sits next to during flights or rocking jorts as his super-fan alter-ego Rodney Sandstorm, he’s always entertaining. 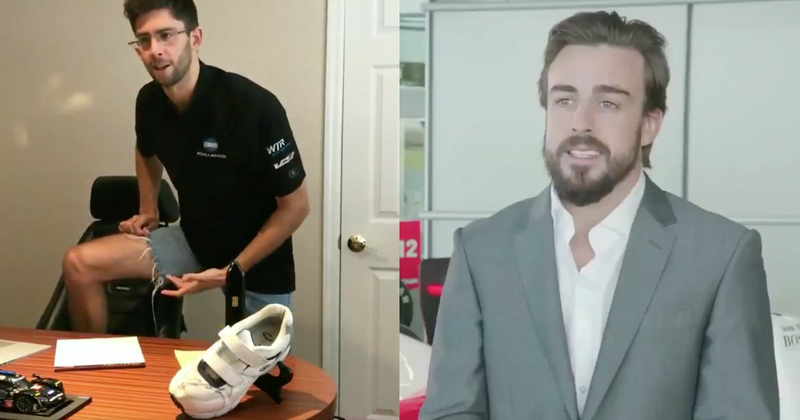 The Alonso announcement was no exception as he cut together this superb ‘interview’ with his new teammate. The question isn’t just going to be ‘can Alonso win Daytona?’ but also ‘what is Jordan Taylor going to get Alonso to do?’ Maybe we’ll get to see Fernando having a spin on the pit bike track Taylor has in his garden? Or how about a spot of driveway karting? Or maybe, just maybe, he’ll get to star in a video alongside - or maybe as - Rodney Sandstorm.